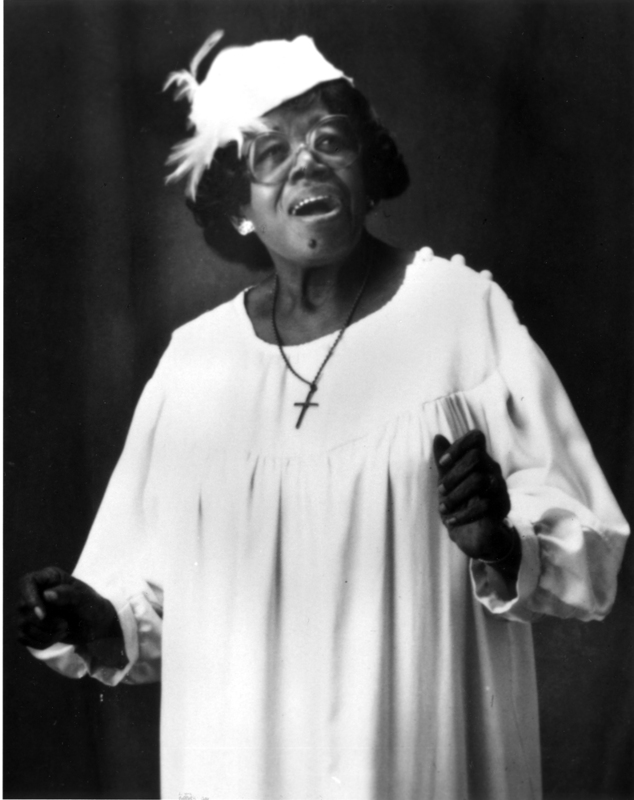 The music we now call gospel was thought too worldly in 1917 when Willie Mae Ford moved to St. Louis, but she was to change that. Rather than deny the power of the blues, she enfolded it in her religious convictions to form a joyous new message of praise. Having helped found the National Convention of Gospel Choirs and Choruses, she organized its Soloists’ Bureau in 1939. Profoundly influencing almost every gospel singer to follow, she was featured in the 1983 film Say Amen, Somebody. Willie Mae Ford Smith received the Heritage Award from the National Endowment for the Arts In 1988.